So where exactly did May go? I know I asked the same thing last month, but I’m serious. I thought May was a long month, but lo and behold, suddenly it’s gone. And we’re in June, the sixth month of the year and before we know it, the year is half gone! WAIT! I am not ready! Okay, the real reason I’m kind of freaking out is because I didn’t get to read any of the books I listed last May. I know, right — and it had to be the month I listed two books. I didn’t even reach halfway for one. In fact, I didn’t even put any of the books in my currently reading list — both of them stayed in my office lockers. *headdesk* How lame was that? I’m going to be realistic this time. I don’t see June any different from May, really, except that I’m on night shift and it might give me a bit more reading time. But seeing the books that I got myself into reading for June…well, I feel like I might not have time to read other books until I finish two of the books on my list. The Lord of the Rings: The Fellowship of the Ring by J.R.R. Tolkien – our book club’s book of the month. You know that I don’t have plans of reading this book anytime soon/this year/in the next year, but because my book club chose this as the book for this month, I have a reason to read it. I was planning to just go ebook on this, but for some reason, my attention span isn’t cooperating, so print book it is! A Game of Thrones by George R.R. Martin – I’ve been planning to read this since February, but I keep on pushing it until I found some people to buddy read it with. I’m 1/4 done, and if anyone else spoils me, I will stab you with my own version of Ice. :P After I’m done with this, I can finally watch the TV series. 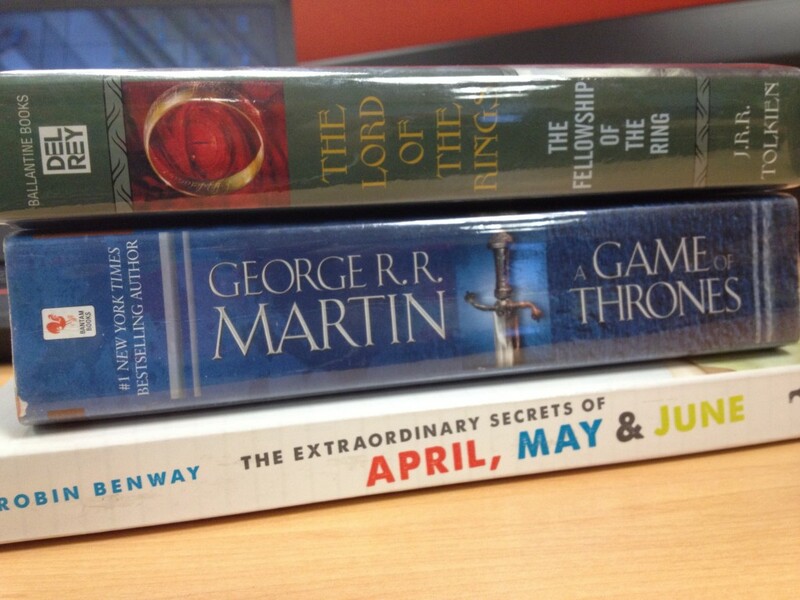 The Extraordinary Secrets of April, May and June by Robin Benway – My plate is already full with LOTR and GoT, but I figure I can throw in a light contemporary YA just to balance it all out. I really enjoyed Robin Benway’s Audrey, Wait!, so I’m hoping I like this one, too. Your list is a little heavy on swords, dagger, bows, and arrows. But yes, I’d it’s realistic. I have read and loved all three of these books. 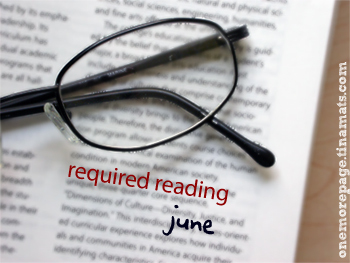 You definitely have a good June line up picked out for Required Reading. I especially LOVED Game Of Thrones and The Fellowship of the Ring.